Acne scarring is a fairly common problem that is a direct result of prolonged acne trouble. It affects millions of people around the globe and thankfully there are numerous options available for correcting this skin ill.
Like other parts of the world, most people prefer noninvasive acne scars treatments in Dubai. 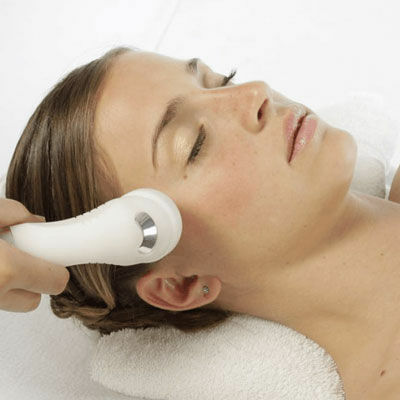 The ideal treatment in this regard is Radio Frequency Treatment. It works really well for live acne and acne scars as well as a number of other skin conditions. Daeyang Medical’s Vinushape is used to perform this treatment. The treatment works with the help of radio frequency waves that are delivered to the affected areas of the skin with a specialized device. The radio waves work at a deeper level in the affected area by stimulating water molecules present in the skin. As the water molecules begin to vibrate, heat energy is produced. This heat energy breaks down the damaged tissues and triggers the healing process. The level of collagen and elastin too is raised in the skin which makes it firm and supple over a period of time. It is a simple procedure performed both with and without topical anesthesia. The entire process takes 25 to 30 minutes at most. However, treatment time may vary from person to person depending upon the extent of scarring and skin damage. Expect photosensitivity to develop after the treatment. This can last for a couple of weeks. Avoid sun exposure during this period. If necessary to go out, generously apply broad-spectrum sunscreen. Crusting is common; just avoid picking or scratching the crust or scab. Do not touch the treated areas unnecessarily. The treatment brings fantastic results as the scarring is removed for the most part and the appearance of the person improves significantly. It also helps a person regain his or her confidence which often goes away with the onset of unsightly acne scars. Despite its affordable cost, results of Radio Frequency Treatment in Abu Dhabi are breathtaking. Quality of treatment is not compromised. It is a simple, effective and affordable Acne Scars Treatment. It is a virtually non-surgical, non-invasive procedure that does not require any downtime. It also helps boost collagen and elastin production. Enhanced skin texture comes as an added benefit. It is a lunchtime procedure that does not require any downtime. Is it painful? There is almost no pain during the treatment. The little discomfort it causes can be countered with the help of a cooling gel. How many sessions are needed? The exact number of sessions depends on the extent of scarring. Only your doctor can determine this. Usually, four to six sessions spaced a few weeks apart should do the trick. This number can move both up and down in individual cases. Is there any downtime? There is no downtime after the treatment and with necessary caution, you can maintain the daily routine. Be sure to follow the instructions by your doctor to ensure smooth and uneventful recovery. If you can, take a couple of days of rest especially after the first treatment session that can be very helpful. 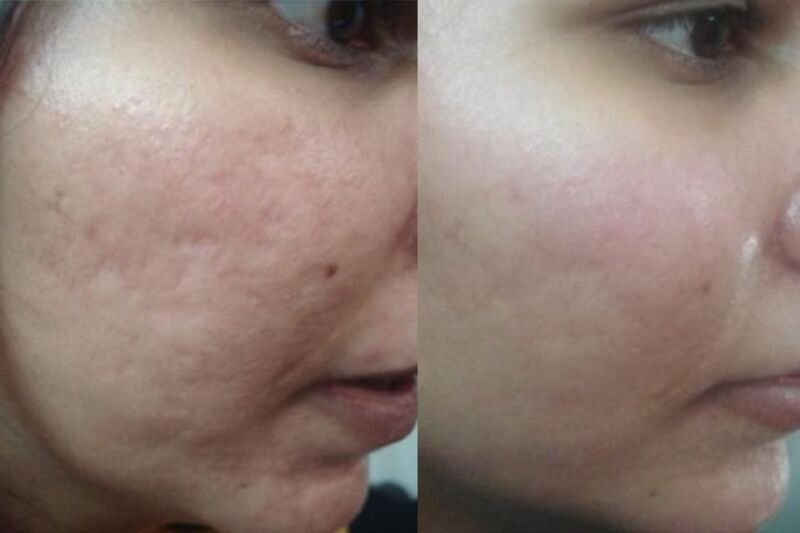 To learn more about Radio Frequency Treatment for Acne Scars in Dubai or to schedule this procedure, visit us at Laser Skin Care or call us now. Alternatively, you can sign up for a free online consultation simply by taking a minute to fill in the form given below. We are also offering Radio Frequency Treatment in Sharjah, at an equally competitive cost while guaranteeing the same level of success as in our other clinics. 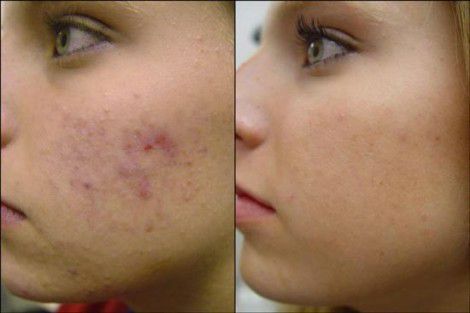 You Don't want to Miss Our Offer on Radio Frequency Treatment for Acne Scars . Fill in The Form To Avail Our Special Offer For You!